With 2019 just around the corner, it’s time for manufacturers and distributors to start looking to the future and mapping out their IT strategies. Unsurprisingly, the fast-paced world of enterprise technology isn’t slowing down, which bodes well for businesses looking to enhance their performance with ERP software. So what are the ERP trends expected to transform manufacturing and distribution in 2019? We’ll run down some of our big predictions for next year. If you thought the Internet of Things (IoT) was just some meaningless buzz word, think again. Gartner predicts that IoT endpoints and spending on advanced analytics will increase by double-digit rates in 2019. IoT enterprises connect machines to the internet to gather performance metrics and other critical insights to optimize shop floor performance. Sensors, smart beacons and RFID tags are a game changer for manufacturers, helping them prevent delays, reduce downtime and manage inventory. But the power of IoT isn’t fully unleashed until your equipment is in conversation with your ERP system. With data automatically captured in ERP, manufacturers gain greater visibility into their production lines. As ERP is responsible for managing processes across your enterprise, increasing machine connectivity streamlines operations and encourages better decision making. For example, your equipment’s data on parts quality can be applied to the ERP work order, helping you get accurate costs. This level of insight and process automation will enable your manufacturing floor to reach peak efficiency, making it one of the most exciting trends for the coming year. 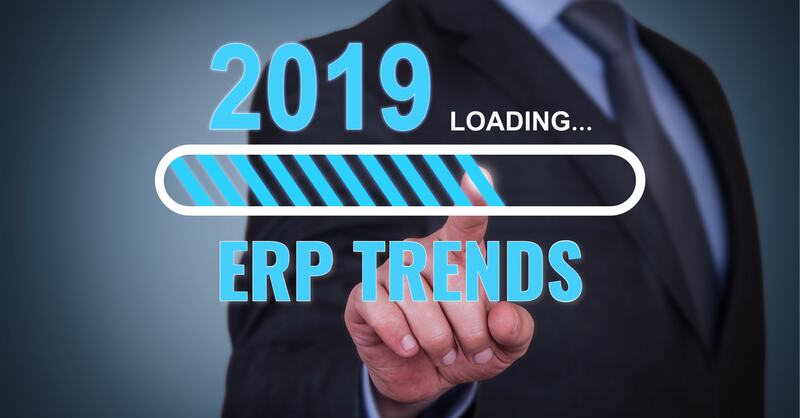 Expect to see an increase in ERP implementations in 2019. This is because small to midsize businesses (SMBs) are getting smarter about their IT investments. Tired of the inefficiencies and rigidity of point solutions such as QuickBooks, they’re springing for inclusive ERP offerings. They’re realizing they can get more bang for their buck with an all-in-one system that can manage end-to-end business performance. The recent increase in SMB adoption of ERP software is a far cry from the early days of enterprise technology. Once exclusive to large corporations, ERP has become more affordable and usable for small and mid-market businesses. Furthermore, SMBs are recognizing the enormous cost savings that come with the comprehensive functionality and flexibility of modern platforms. 2018 was the year of the cloud, with a huge influx of businesses migrating their software off on-premises. Several vendors, such as Epicor, also adopted major improvements in their cloud platforms and implemented a cloud-first approach. Expect the big trend for 2018 to continue into the new year, with cloud deployments set to dominate the ERP market. This trend goes hand-in-hand with the increase in ERP implementations for SMBs. Cloud solutions are managed and updated by providers, freeing IT teams from extensive maintenance and security efforts. Since they don’t require in-house servers, they also come with a lower up-front cost. More large companies are embracing the cloud as well, moving on-premises systems to the cloud in order to reap the benefits of enhanced scalability and flexibility. Cybersecurity breaches and new regulations such as the GDPR made big headlines in 2018. This will spur businesses to prioritize data protection and compliance in the coming year. ERP vendors are taking notice, doubling down on their security protocols and support for compliance. The latest releases will include enhanced encryption, stringent access restrictions and AI-powered threat detection. These measures will prevent data from falling into the wrong hands. Providers will likely incorporate more governance, risk and compliance (GRC) programs in their solutions as well. Epicor is already ahead of the curve in this regard. Tightly integrated with the ERP system, Epicor GRC includes built-in risk mitigation tools and provides audit trails and secure workflow automation to maintain data integrity. Epicor serves as the foundation of your compliance initiatives, supporting several measures from the FDA, GMP, ISO and more. ERP will keep up with cybersecurity concerns and stricter regulations to protect your business from hackers and fines in the future. The big takeaway from these trends is that ERP is becoming more accessible, more secure and more advanced. Still, even as the ERP market grows, some businesses are still slow to implement or upgrade to a modern software solution. Datix is here to alleviate any lingering fears. For over 20 years, our consultants have transformed manufacturers and distributors across the globe with our ERP, CRM and eCommerce solutions. An Epicor Platinum Partner, we follow best practices to ensure your ERP is up and running without a problem. Whether you’re integrating your platforms, implementing ERP for the first time or upgrading your legacy software, our consultants will do what it takes to execute the project from start to finish. Set yourself up for success in the new year. Reach out to Datix today to learn about our premier services and solutions! 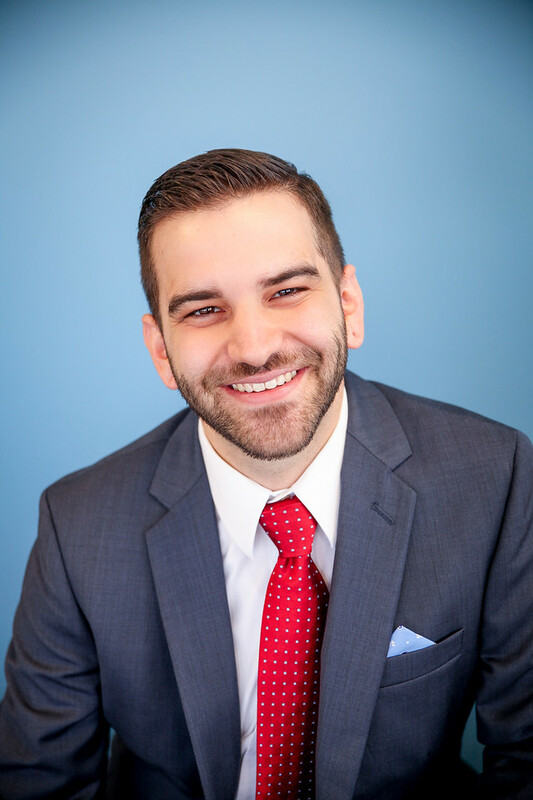 As the Executive Vice President of Delivery at Datix, Jay is a dynamic, results-driven, and self-motivated professional with a wide range of experience in delivering success by planning and leading operations on a global level. He has a proven track record of consistently building productive relationships with customers and suppliers.